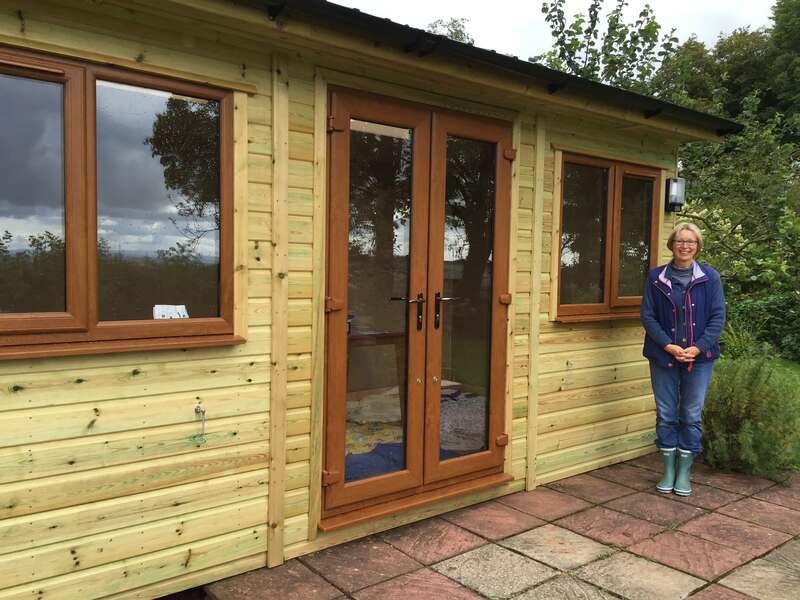 Having already purchased several bespoke timber garden buildings from Shields Buildings over the past 15 years, Liz knew that the standard of building, service and workmanship was second to none. When Liz retired she was relishing the prospect of spending more time on her hobby of textile art. 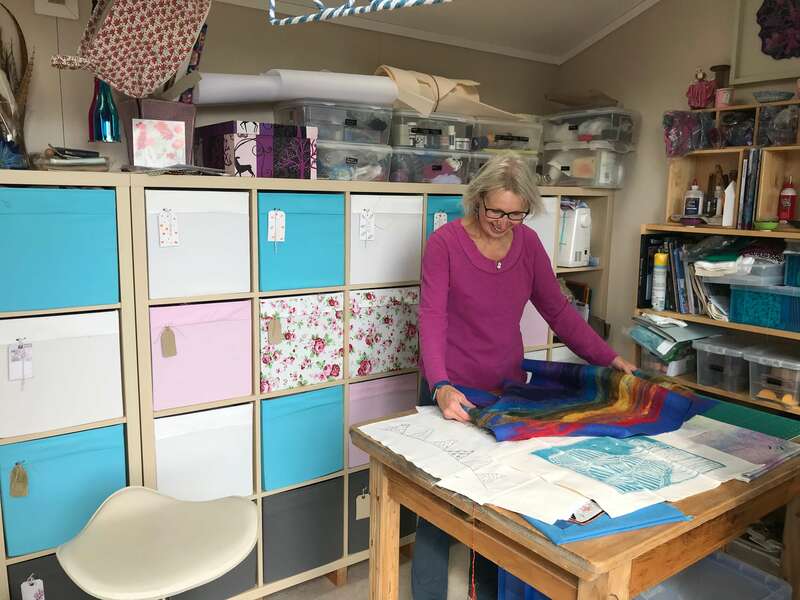 She had been using a mezzanine in her barn conversion, but had outgrown this area and dreamed of having her own creative space. As the studio would be used all the year round the main priorities in the design were warmth and light. 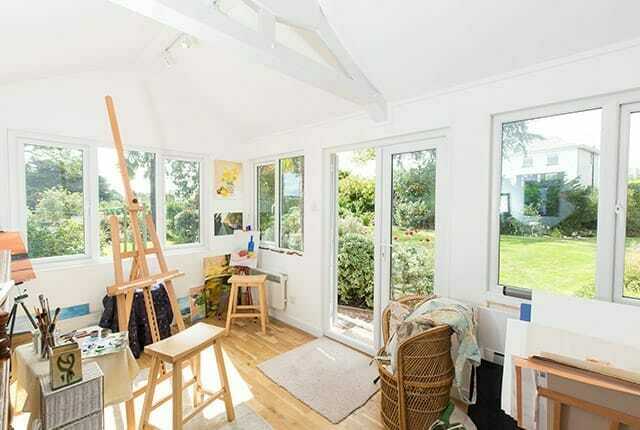 After discussions, Liz decided that a 5m x 2.5m studio would best suit her needs and fit nicely in to the proposed space in her garden. 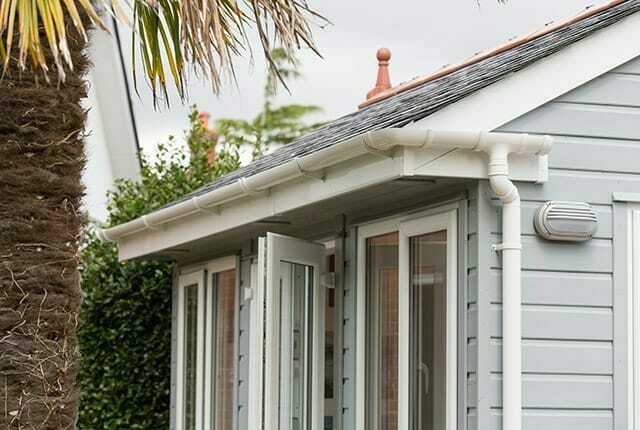 It was designed with 2 roof lights to give additional light in the building and double-glazed uPVC windows and doors giving good insulation and a perfect low maintenance solution. A delighted Liz got exactly what she wanted in her studio from Shields Buildings, with minimal disruption. Now she can work in peace and comfort to enjoy her art, knowing she has her own special haven to work in. "The response after my initial enquiry was quick and efficient, with a site visit, plans and very reasonable quote done within just a couple of days. The team who built it have done a wonderful job and I’m absolutely thrilled with the result. 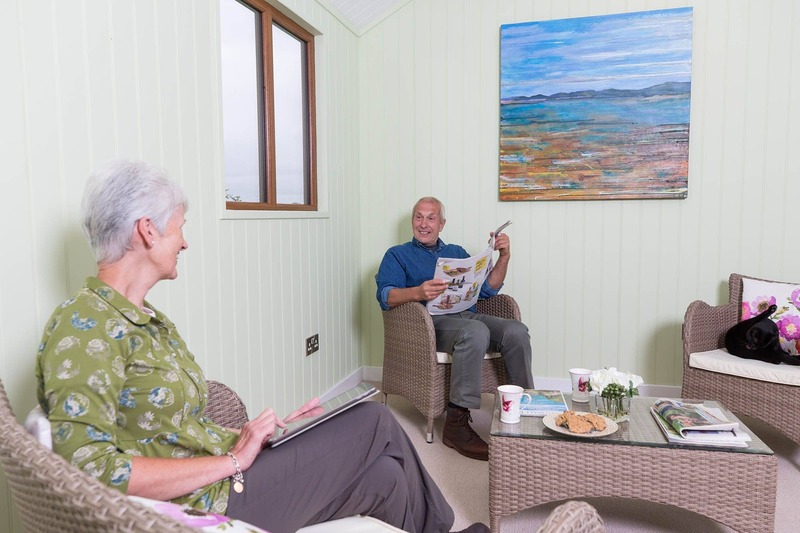 I shall be using my new timber garden building as a textile art studio and John was most helpful in making sure there were suitably placed windows and roof lights to give me suitable lighting."